The quality of dental treatments is at top class in Thailand. Most Dentists graduated from overseas, in particular the United State or the United Kingdom, so they definitely communicate to foreign customers with well English. However, a queue would be created to do dental treatment with famous dentists in Pattaya, since customers recommend the dentists to their friends more and more. So, visitors should make a booking to see a dentist once they would like to have their teeth done quickly. The clinics themselves are clean, modern, and also use up-to-date technology. It is noticeable that there are a huge number of Pattaya dental clinics. The dense concentration of the clinics would be higher than Bangkok. This is because, every year, there are a great number of foreigners coming to visit Pattaya and have their teeth done, such as teeth whitening, dental veneers, dental implants, and dental crown, at the same trip. A good thing for customers of dental clinics is the cost is inexpensive not only due to the cheap dental treatment fees in Thailand, but also due to the competitive situation of Pattaya dental clinics. For instance, in Australia, even for a little dental treatment is higher than 100 AUD, while it is a lot cheaper in Pattaya, perhaps less than 1000 Baht. In the case of promotion of dental treatments, a number of Pattaya dental advertising are provided at local tourist magazines. Dental crowns are the popularity of its treatment for foreign tourists. And the most reason why foreign visitors would like to do it here is the price. The price for acquiring crowns is significantly cheaper than UK and US, perhaps about one third or one fourth. Also, the problem of sensitive teeth from minute cracks in the teeth can be fixed by acquiring dental crowns as well. However, a few days for establishing dental crowns in laboratory for customers are needed, so at that time, it is time to enjoy yourself at Pattaya beach and Pattaya attractions and activities. Hospitals and most dental clinics in Pattaya offer teeth whitening (or teeth bleaching) to customers, in particular foreign customers as dental crown in Pattaya, since teeth whitening is very popular for overseas visitors. The cheapest method for teeth whitening, approximately 4,500 Baht, is to utilize gels and whitening toothpaste, but this method will take some time to complete the whitening. The second method but utilizing the newest teeth whitening technology in Pattaya is UV bleaching. Whitening with UV bleaching is a method that is safe, painless, and quick. The cost of this method is about 9,000 Baht. Another teeth whitening method in Pattaya that is the most expensive one but also the best and the quickest for getting teeth white is Laser treatment. The cost of doing teeth whitening with laser treatment is approximately 12,000 Baht. Note that in the case you have crowns inserted, it is recommended that your teeth should be whitened first because this can simply match the crown color with the teeth. 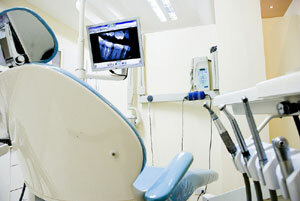 To have dental implant in pattaya, visitors need to do two steps. The first step is go to a dental clinic for implant body placement, which take about a week. In this period of time, temporary crowns will be provided for dental implant customers to make sure that no one, even their friend or family, will notice about this. Then, come back to the clinic for permanent implant body to your bone where this time it will take about 12 weeks. Quick option for dental implant in Pattaya, approximately 10 days, is also offered, but it could be for just some cases.